Time to shine! The high gloss finish of acrylic prints make your art the focus of any room! 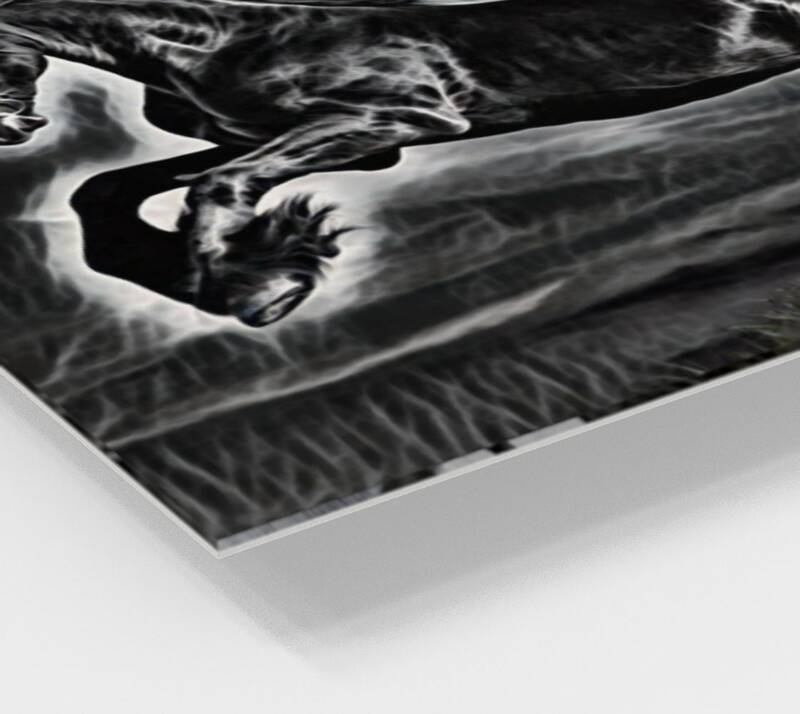 Half the weight of glass and many times more resistant to impact, acrylic prints are both long-lasting and a seriously modern and impressive way to display your art! 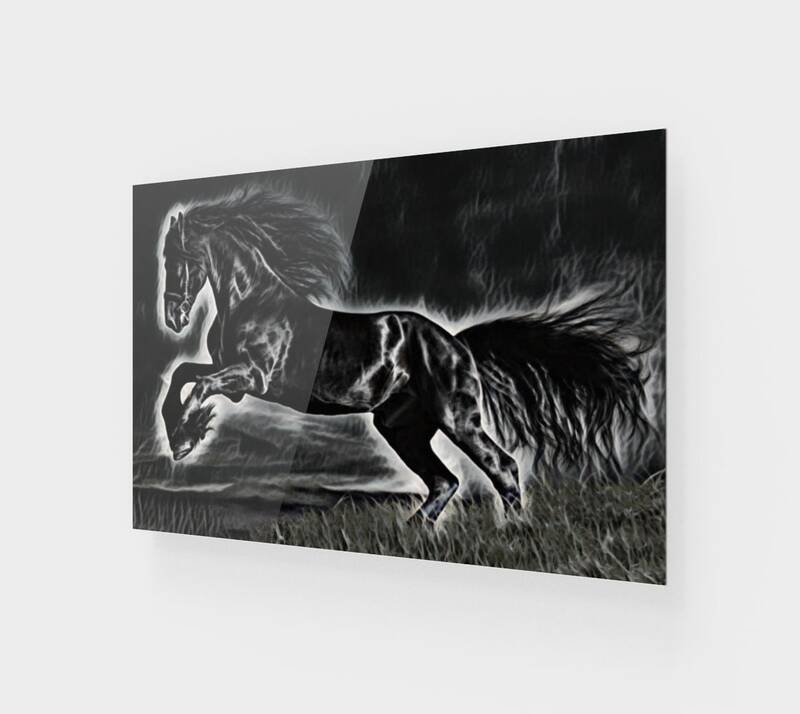 Smokey black stallion dazzling print. To see poster options go to www.turnback.store in the art section.